Instead of “arranging” the market [and protecting its business leaders], It would be better to reinvent it. The mere existence of a monopoly does not necessary point to a market failure that inhibits competition. If the monopoly has been achieved naturally, through a technological breakthrough or business innovation, rather than artificially through the regulator’s arrangements, it can provide leverage that is essential for economic growth and for development of purpose and quality of life. The question – would it have been possible to arrange our time on the toddlers’ swings without resorting to physical violence — remained unanswered. Economists love to talk about competition controlled by the “unseen hand” within the framework of “perfect competition” – a system of commercial interests that takes place in an open market, accessible to information, entrepreneurs and customers who wish to engage in trade of products and services at a fair (and competitive) price. Actually, this is only a theoretical situation – in reality, it is unlikely that we can ever find situation like this. In existing markets, very strong hands work to preserve the “market failures” in order to turn a (perfect), competitive and open market into a closed market controlled by a monopoly (or an oligarchy) that chokes any competition that threatens its profits. The sources of the profit are in the hands of the few. In the absence of a clear market leader, the moment that competition becomes real and approaches a state of “perfect competition,” the system goes to a price war so that the profits go down to nothing, thus pushing out some of the players and forcing them to give up. In a global price war, as in any war, there are mainly losers: True, for a moment, the customers enjoy competitive market prices, but that is at the cost of degradation of the quality of the product, the level of service, the conditions of the workers and a slow-down in growth. Economic realities have taught us that competition over the cake of existing resources will find it difficult to provide a reliable basis for continued economic growth. Business initiative build on entrance into a market that is already saturated with competition will not be financially sound: the common business plan “to develop a cut of the market at about 2% in a market of 100 billion dollars” has proven itself to be completely unrealistic. Any business source that is not wise enough to control a portion of the market by creating clear value that cannot be replicated and thus create a monopoly, even if it’s merely a portion of a “neighborhood” market – cannot create a critical mass, a specialization or a competitive advantage in order to survive the competition. Like the different types of cholesterol in our bodies, some types of monopolies are not always bad for the customers, nor do they necessarily cut back on competition and growth. An artificial (bad) monopoly is one that was created by existing institutions and laws and is based on the relationships between capital and government and on market failures – for instance, monopolies maintained by the local authorities over the use of public resources (such as real estate for development, quarries, resources of natural gas and oil, communications channels, transportation, or maintenance of the laws of kosher labeling) are monopolies that benefit only “a special few” with a portion of the profits. Natural monopolies do not need the regulator to defend them against competitors. The control over the market by natural monopolies stems from the value-package and trust system that they create with the customers, which makes them immune to competition. In contrast, bad monopolies survive thanks to political (artificial) protection. The “license to operate a taxi” (an artificial monopoly) will not be able to maintain its position for long in the face of a natural monopoly such as Uber. In the near future, the rights to television broadcasting (a bad monopoly) will be unable to deal with the natural monopoly created by content producers such as Netflix, iTunes or Amazon. Due to the changes in the nature of the market, the fall-back battles of the artificial monopolies don’t stand a change. The way to survive, I have learned, is not to compete for existing resources – “to hit back” – or to come up with some strategy to protect a segment of the market through price-slicing, advertising blitzes, sales or benefits. The (artificial) attempt to enlist protection from “Mother State” or “Father Regulator” won’t be sustainable for very long in the face of the competition posed by the natural monopolies. Decades later, I now understand that my father was pushing me to deal with it, and that that was perhaps necessary, but he definitely did not point me in the direction of adult life. As an adult, I have learned that the simple alternative to the violent struggle would have been to try to come to a time-sharing arrangement on the swings with the aggressive little boy. 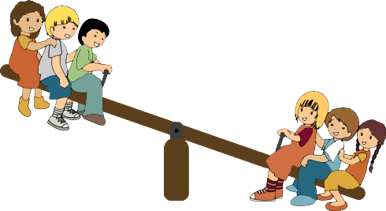 The third way, the LPPD approach which is highly preferable and is still available to anyone who wants to make things better for himself and his surroundings, is to find a new swing or valuable game, thus making the competition irrelevant. But that won’t last for long, either – a new, young monopolistic group is already developing a new game. 4 Kim, W. Chan & Renee Mauborgne, Blue Ocean Strategy, Harvard Business School (2005).